Pope Francis celebrated his first Holy Thursday as Pontiff at a juvenile prison in Rome in March of 2013. Francis mirrored the actions of Christ on the night he was betrayed by washing the feet of 12 young inmates, between the ages of 14-21: 10 men and 2 women; 2 of them being Muslims. In Astrology, as in Life, Religion and Spirituality are two separately distinct concepts. The former pertains to anything associated with an organized religion. The latter indicates an esoteric sense of well-being that’s Universal in nature, whose essence isn’t attached to any pre-established doctrines, as the former does. The former is firmly rooted within the functions of the rational mind, by being heavily steeped in both knowledge and dogma. The latter is based wholly within that which is intangible and non-rational, since it serves as a function of human Intuition, and is sustained by an energy source which cannot be measured, Faith. 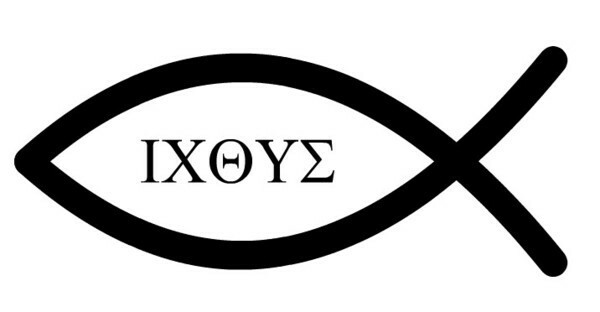 Intriguingly, the imagery which Christ predominantly incorporated in both His teachings and miracles that also was implemented as a secret code which signified congregation amongst the Early Christians during the time of Roman persecution, just so happens to be the representative symbol of Christianity, today – the “Ichthys“, a Greek word meaning “Fish”. By its association with the sign of Universal Spirituality, Pisces, the Christian Fish symbol transcends the many sects of organized religion that Christianity has been subdivided into over the centuries and by virtue of its simple imagery represents the basic, yet profound notion of a person having Faith in a higher Source. With what’s been mentioned about religion and spirituality being represented by the signs of Sagittarius and Pisces, it should be of no surprise to observe that Pope Francis was born beneath the sign of Sagittarius and the 9th House of Organized Religion in his natal chart is ruled by the sign associated most with Christianity and with Christ Himself, Pisces. 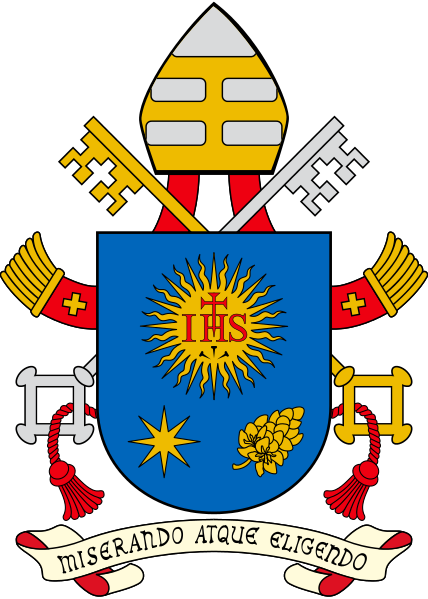 Pope Francis was born Jorge Mario Bergoglio in Buenos Aires, Argentina on December 17th, 1936 at approximately 9PM. A natal or birth chart is a freeze frame of the sky at the moment of one’s birth capturing the exact positions of each of the planets of our Solar System by sign and by House placement. At first glance with its many oppositions and squares, Pope Francis’ natal chart is a difficult one that could be described as challenging at best and not in any way easy. 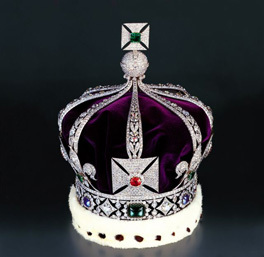 This would indicate that upon entering this plane of existence the Pontiff’s soul sensed a significant mark on the world needed to be made over the course of this lifetime and to optimally do this, Francis would need a steady stream of problematic obstacles in order to grow and evolve in the most effective way possible. Pope Francis was born a Sagittarius. The sign of the “sage” may oversee such high minded areas of Human Life as philosophy and organized religion, but overall Sagittarius is known as the “lucky” sign. Being ruled by the largest planet in the Solar System, Jupiter, Sagittarians are naturally lucky and inherently have a knack for being in the right place at the right time. Because of its luck filled influence of fortunate abundance, Jupiter also endows those born beneath its ruling sign with a naturally optimistic, or “happy go lucky” disposition, where the typical Sag always sees the glass as “half full” and won’t even acknowledge the other way around. Not only was Pope Francis born beneath the sign of luck, that sign’s planetary ruler which oversees good fortune, Jupiter, was next to, or conjunct the Pope’s Sun at the time of his birth. At first glance, this could be interpreted as a person born so naturally lucky, they could be likened to a walking/talking double 4 leafed clover of constant fortunate circumstance. But this doesn’t apply to the current Pope. Upon further inspection, the sign and house placement of Francis’ Sun and Jupiter indicate otherwise, since both heavenly bodies are strongly influenced by the karmic signs. Virgo, Pisces, and Scorpio are known as the three “karmic” signs, and the Houses they naturally rule over, namely the 6th (Virgo), the 8th (Scorpio), and the 12th (Pisces) are considered to be karmicly significant as well. Those born with a heavy concentration of either karmic signs or Houses have an innate understanding that their lives are best spent in service to others. When viewed from a more evolved perspective, Luck transforms from individualized fortune into the bigger pictured concepts of both Blessings and Benevolence. Despite the high luck factor associated with his birth chart, the Pope’s Sagittarian Sun is juxtaposingly balanced with Jupiter being positioned in the Saturnine sign ruled by the planet of restriction and loss, Capricorn, and by virtue of his Sun and Jupiter both being placed in the karmicly significant 6th House of Service. Entering this world when his Sagittarian Sun was conjunct its ruling planet, Pope Francis may have been born with exceptionally good Luck but his soul must have intrinsically sensed that the blessings bestowed upon him throughout his life were meant to benefit those less fortunate than him and weren’t strictly meant for his own individual gain. At the time of his birth, Pope Francis was destined to be of service (6th House) to the poor and needy (Capricorn) by influencing others with his religious beliefs (Jupiter) and naturally optimistic (Sagittarius) sense of self (Sun) along with his aura of blessed benevolence (Sun conjunct Jupiter). What do Pope Francis and Princess Diana have in common? – Both were thrust into environments rigidly structured by conservative tradition yet managed to retain their strong sense of individuality. – Both are wildly popular among masses of people from all walks of life. 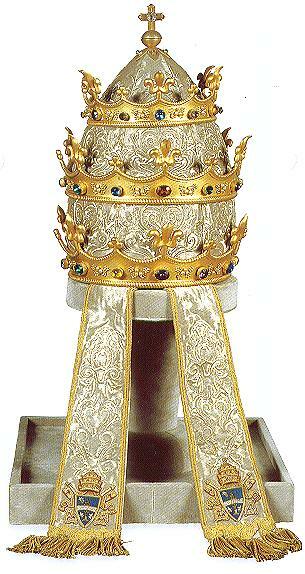 – Both forsook wearing ostentatious head gear which represented high statused superiority. – Both had their titles altered with the word “People’s”, she being the “People’s Princess” and he being the “People’s Pope”. – Both had their astrological “Big 3” consist of the signs of Cancer, Sagittarius, and Aquarius. In astrology, the three main components which make up a person’s overall personality are known as “the Big 3” – the Sun, the Moon, and where the Horizon was placed at one’s birth, better known as the “Rising Sign”. Pope Francis and Princess Diana share the same Big 3 with Diana having a Cancer Sun, an Aquarian Moon, and Sagittarius Rising and Pope Francis having a Sagittarian Sun, Aquarian Moon, and Cancer Rising. Not surprisingly, the People’s Pope is having quite the similar effect these days as the People’s Princess once had over the masses, regardless if those masses are religious or non-religious, royal or commoner, and this can be mainly attributed to the influence of the sign of Cancer and its ruling planet, the Moon. The sign of the Crab is also known as the “Mommy” sign and those born beneath it tend to “mommy” those they care for, regardless if they are related by blood or not. Pope Francis is Cancer Rising. The Rising Sign is the persona we project to the world we don’t know well. This isn’t a Pope who separates himself from the masses with bullet proof Popemobiles or preaches to his congregation from a pulpit that’s detached and far removed. Francis walks among the masses to let the public know he is no better than anyone else and his Cancerian Ascendant enables everyone to sense that he cares for each individual’s well-being, much like a concerned parent does for his children. Collectively, the Moon rules over the public and both the Princess and the Pope were born with theirs in Aquarius. Aquarius is the sign of futurism and of the masses, themselves. As individuals, both Diana and Francis appealed to the public and the masses at large, regardless of individual status or religious denomination. The Pope’s Aquarian Moon differs from Diana’s by it being placed in one of the karmic Houses of Service, namely the 8th House of Transformational Change. By virtue of his public presence alone, Pope Francis’ effect on the masses is helping to transform the world’s view of Catholicism from being seen as a religion of detached distance stubbornly stuck in the past to one of warm welcome with a future still ahead of it. The planet Saturn is also known by its weighty title, “The Lord of Karma” and rules over both pain and hardship as well as structure and tradition. The Hindus believe if one is born with the Lord of Karma placed in their 9th House at the time of their birth, they bear the “mark of the guru”. A guru, by definition, is a person who serves as a mentor to many and has the capacity of becoming a spiritual leader. The 9th House, as earlier mentioned, is the House which oversees Organized Religion and is esoterically known as “The House of God”. Saturn is the planetary ruler of the sign of Capricorn, the time of year when the birth of Christ is observed. Even with that said, there seems to be nothing about December 25th, nor the sign of Capricorn that can be remotely associated with the man whose name is housed within both Christianity and Christmas, Jesus Christ. Numerous theories abound as to exactly when the birth of Christ actually took place, but a date which astronomer and astrologer alike are concurring with more and more over time is the 2nd of March. A date which occurs near the exact midpoint when the Sun is positioned in the Zodiacal sign whose symbol is the Cosmic Fish and deals with such Christ-like themes as spirituality and unconditional love, Pisces. The pictured icon for this piece shows Pope Francis’ first public appearance as Pontiff during Easter Week of 2013. Re-enacting Christ’s actions at the Last Super, Francis held the tradition of conducting Holy Thursday Mass but in the most untraditional of places – a juvenile prison. 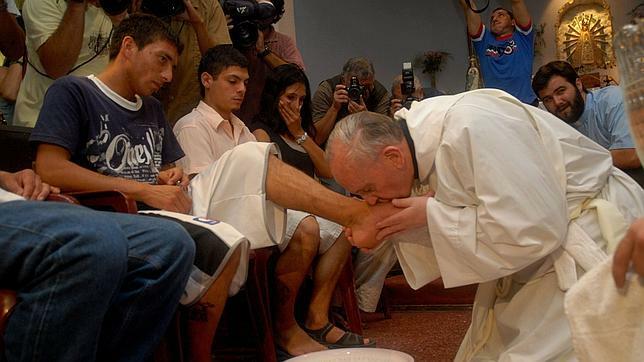 By kissing and washing the feet of 12 of the prison’s young inmates, Francis was telling the world that the hope which religion provides us is open to all of humanity. This was reinforced astrologically given the institution of prisons and the body part of the feet are areas of life both ruled over by the Christ-like sign of Pisces. With Pope Francis bearing the “mark of the guru” along with his natal Saturn being placed in Pisces within the House of God, Catholicism stands a chance of surviving these troublesome times. With Francis’ help, this nearly obsolete religion that was beleaguered by its judgmental exclusivity and hypocritical horrors may just become more Christ-like in the not so distant future after all. Excellent article, beautiful pictures, interesting and highly informative.